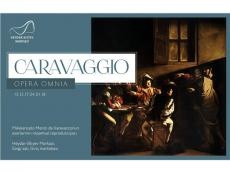 The exhibition titled "Caravaggio - Opera Omnia" will be opened at Heydar Aliyev Center on December 13. Over 40 digital art reproductions of famous Italian artist Michelangelo Merisi da Caravaggio will be displayed at the exhibition. Full size reproductions were prepared with high quality. The exhibition organized with the support of the Italian Foreign Ministry in 2003 was held in several countries, and was last shown in Georgia. "Caravaggio - Opera Omnia" exhibition reflects Caravaggio art with technological achievements. The exhibition at Heydar Aliyev Center will end on January 24, 2018. Michelangelo Merisi da Caravaggio (1571-1610) is the reformist of European art of the 17th century, founder of realism and one of the bright representatives of Baroque. Characterized by their dramatic, almost theatrical lighting, his paintings were controversial, popular, and hugely influential on succeeding painters all over Europe. He masterfully used contrast of light and darkness in his paintings.